My scrap yarn blanket is officially too large to photograph the entire thing on the canvas I use for a white background. :) I'm a little late with this update, but it doesn't matter because obviously this project isn't very time-sensitive. I went several weeks in April without working on it any, but then I got obsessed again and added most of the new squares over a period of a couple days. -14 squares added (36 total squares now). -6 squares from my own scraps. -4 squares from mini-skeins from Andi. 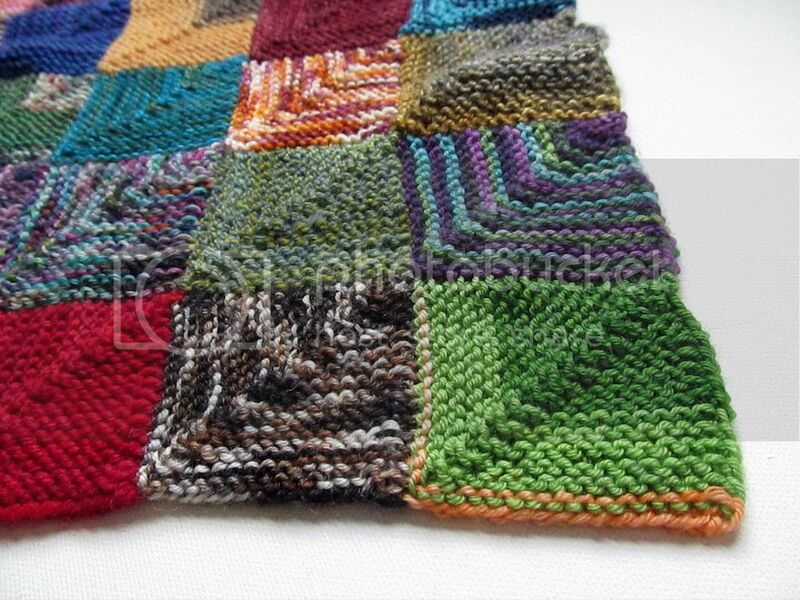 -3 squares from GnomeAcres mini-skeins purchased last month. 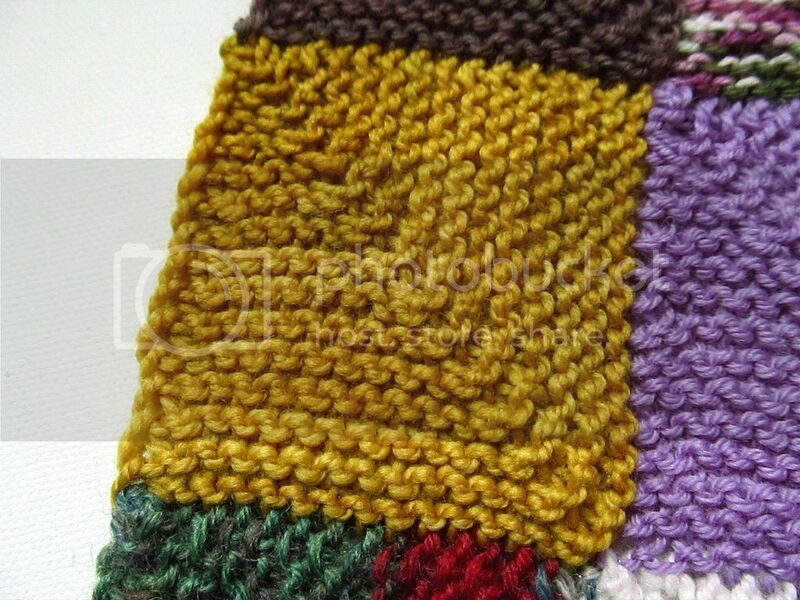 -1 square from a newly purchased mini-skein. I'm starting to add in repeats of squares. 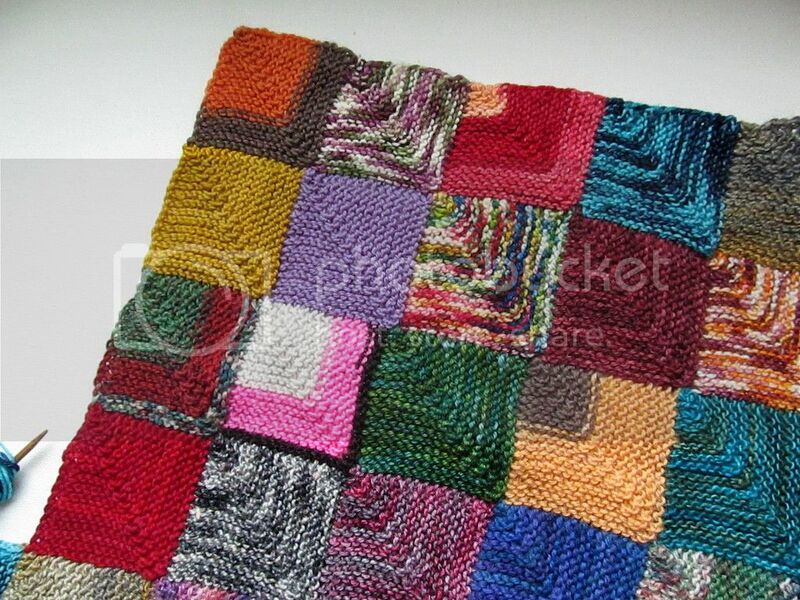 I know that a lot of people who are making these blankets don't want two of the same square, but I actually like it. 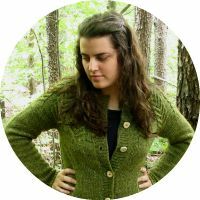 If I love a yarn and the project that it reminds me of, I want as much of it as possible in my blanket! 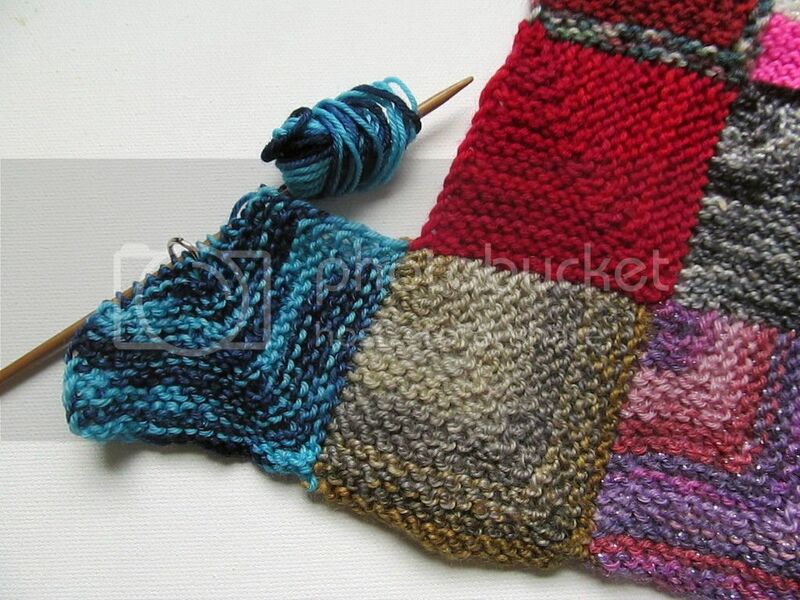 And with striping yarns, squares from the same yarn can look completely different. 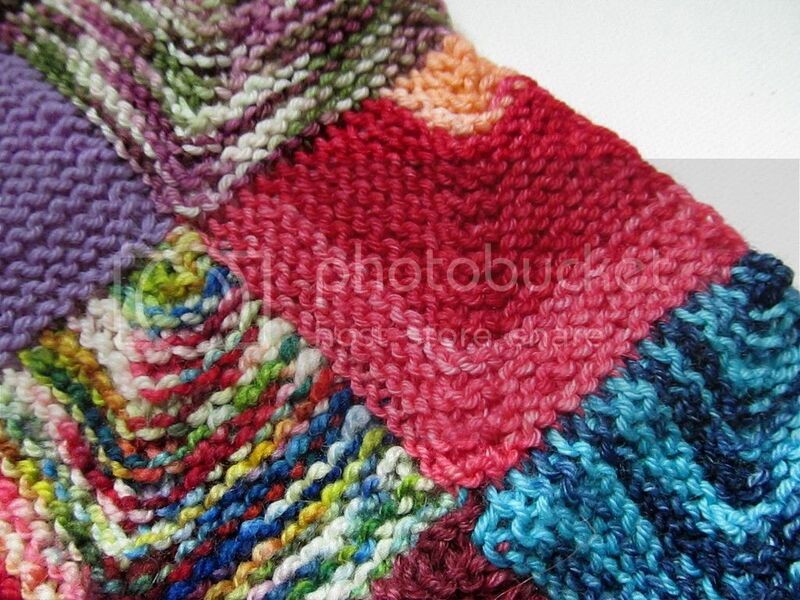 Example: the pink square and the green corner square in the bottom two photos are from the same yarn.